Our new soul mate and a piece that re-defines Old World glam. 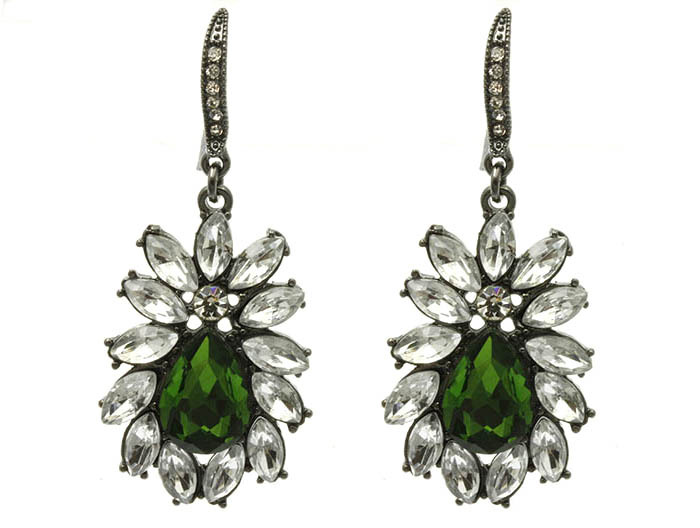 The Esme earrings feature a deep emerald faceted glass bead surrounded by an array of variegated clear-quartz rhinestones, suspended by a slight drop of oxidized cast silver set with petite crystals. Add a drop of sparkle to a crisp white tee and complement with a sleek up-do. Buy this gorgeous piece of costume jewellery online here today.